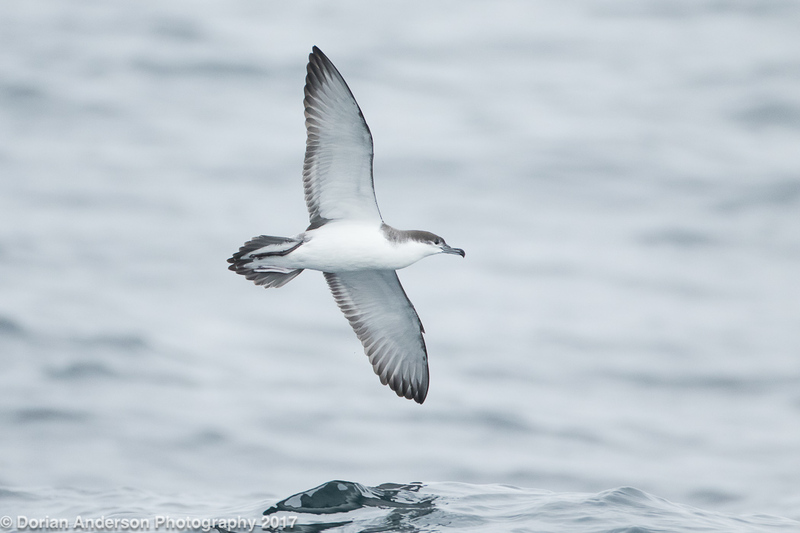 This weekend I had my final 3 of 12 fall pelagic birdwatching trips. All of these left from either Monterey or Half Moon Bay in California and split their time between inshore and offshore (i.e. off the continental shelf) waters. This was by far the most time I have ever spent on the water in such a small time; Needless to say both my birding and photography skills improved immensely. 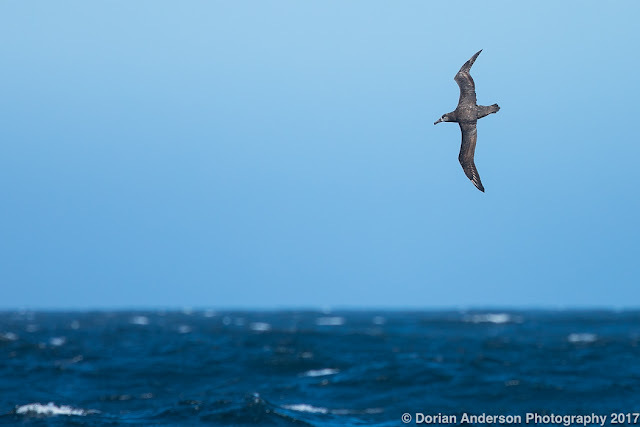 I am going to use this post to showcase some of the pelagic birds that I saw. Beyond that, I will discuss the photography logic and technique that I used to collect these images. 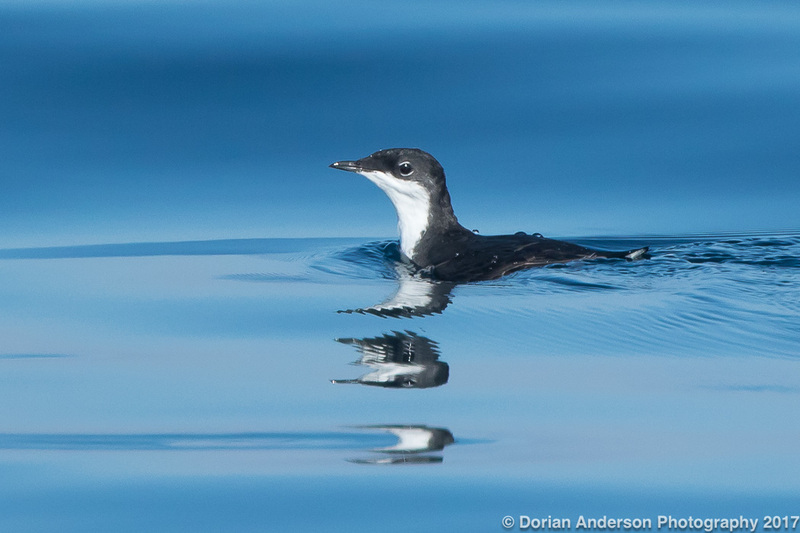 Let me start by stating something that is obvious to anyone who has ever given pelagic bird photography a try - it is really, really hard. 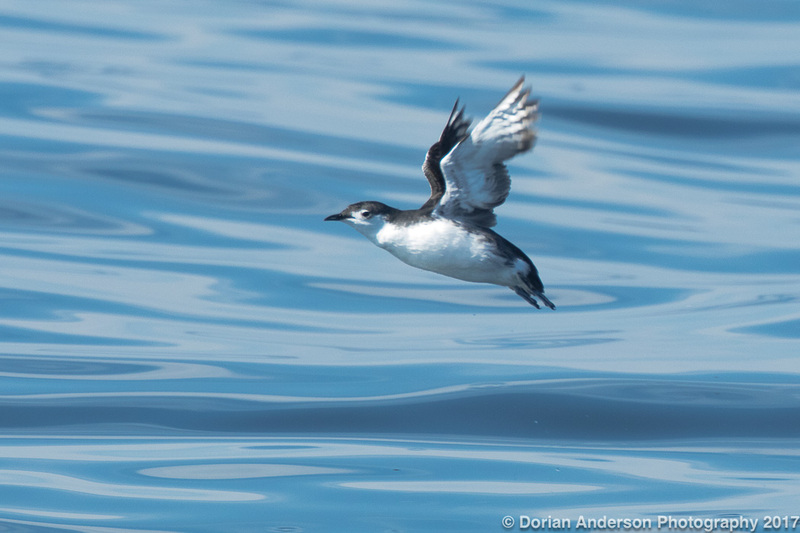 Several factors combine to make pelagic bird photography about as hard as it gets. 1) Pelagic birds are almost always in flight and most of them fly really fast, so shooting them is really challenging. 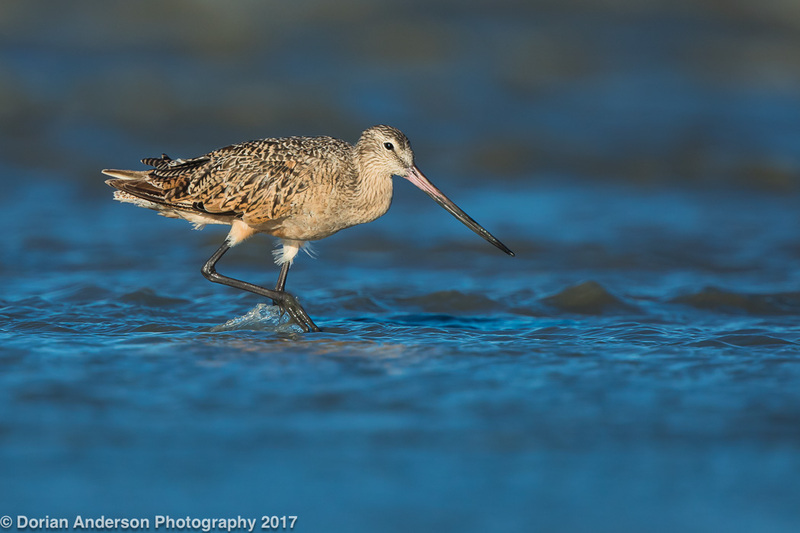 Sure, it's sometimes possible to collect shots of birds sitting on the water, but those frames will not do these amazing birds justice. 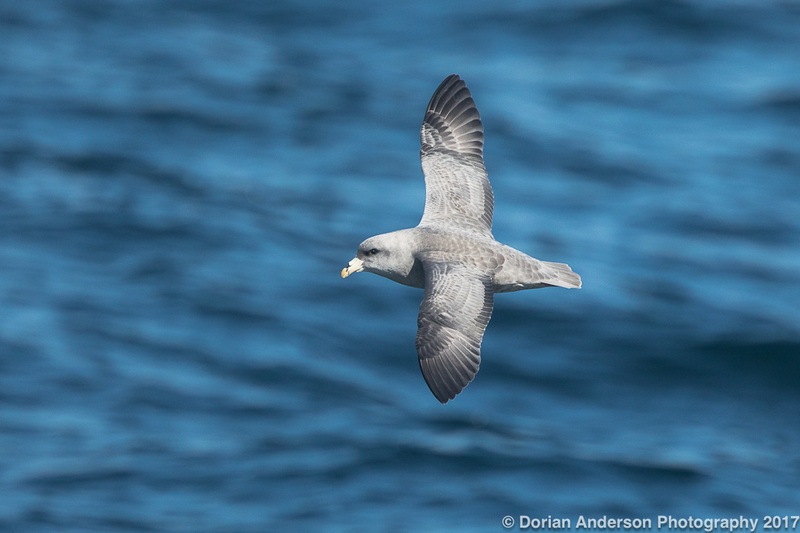 Flight shots are required to show their elegant forms and aerial abilities! 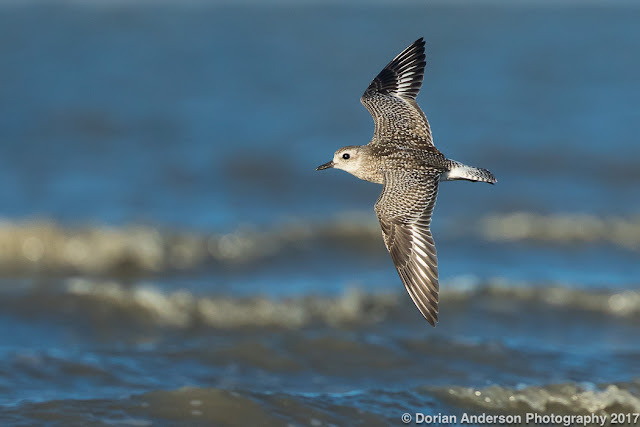 Pelagic photography is therefore synonymous with flight photography, and anything that you learn here should benefit more your terrestrial-based flight-work as well. 2) Pelagic birds don't generally want to come close to the boat, and, unlike on land, you have no individual ability to more closely approach the subject - unless you feel like going for a swim. 3) Unlike terrestrial photography, the photographer is moving in a pelagic setting, often on a heavily pitching boat. 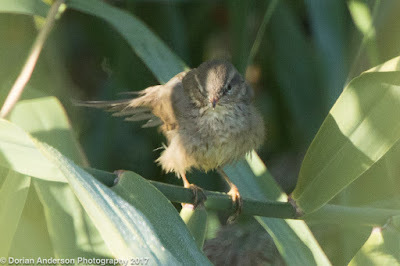 Keeping the subject centered, under the desired Auto-Focus (AF) point is very difficult; As a result, clipped wing-tips and totally empty frames are commonplace. 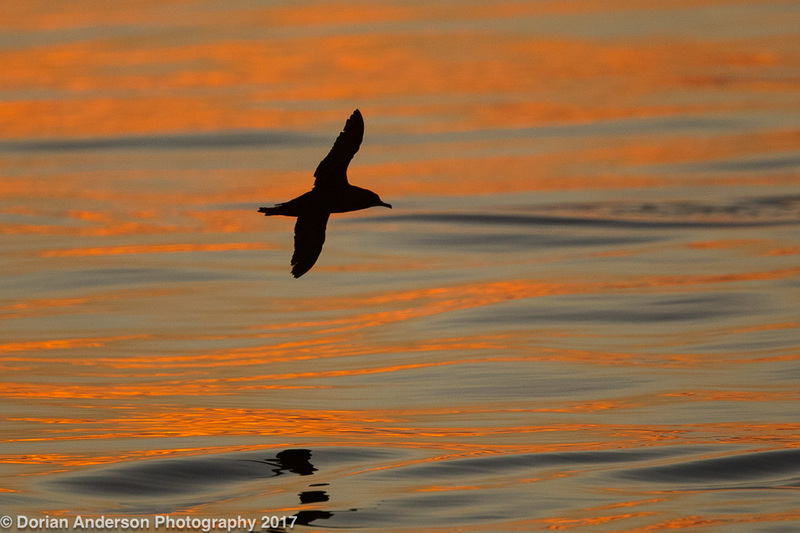 4) Pelagic photography gives the photographer zero control over lighting conditions. If the sun rises at 5:30am and the boat leaves at 8:30am, then you've already missed the best light. If you reach the shelf edge at noon, you'll be photographing deepwater birds in harsh, midday light. If it's cloudy, then most lenses aren't fast enough to properly stop the action and obtain sharp flight shots. Lastly, if the bird flies down the sunny side of the boat, forget about shooting into the sun; That's a complete waste of time. That's for record shots only. 5) You can only get out on the ocean on organized trips, so you have limited chances to get the shots you want. So, given all these difficulties how the heck does one get decent shots of such seemingly impossible targets? I am going to give two sets of tips, General and More Advanced. Everyone should employ the general tips, and those that want to learn a bit more can move onto the more advanced strategies that I present later. I am a Canon user, but this all doubles for other systems as well. 1) Put your camera in AI Servo mode. That is the mode for moving subjects. If you're in One Shot, you're going to have loads of pictures of blurry, flying turds. 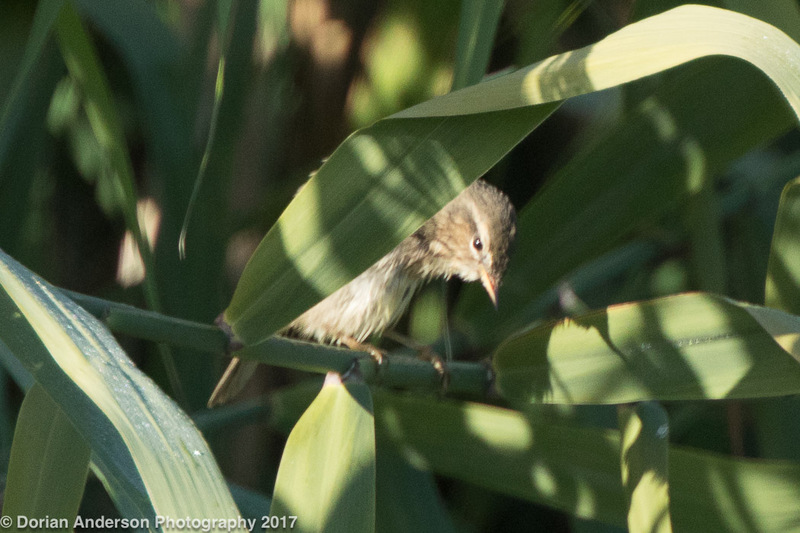 Canon has this silly hybrid AI Focus mode, but I avoid that as well. AI Servo is the only place to be for flight work (and 95% of other work as well). If you're camera is beeping as it focuses, you're in the wrong mode as the camera doesn't beep in AI Servo. 2) I use single point focus with 4 points of expansion for flight work. Single point works fine if you can keep the point on the bird, but that's easier said than done. Use as much expansion as you need. 3) Shoot at the highest frame rate you can. This is done by putting your camera into Continous Shooting, the sort where you can hold the shutter down and take like a zillion pictures in a row. Also known as 'Spray and Pray' this is going to give you the most chances of getting the exact frame you want. 4) As a Canon user, I don't like all the autofocus case setting stuff that they've programmed into the 7D2 and the 5D4. I just use Case 1 and modify the settings to be Sensitivity -2, Accel/Decel 0, Switching 0. Sensitivity should always be at -2 and you can play around with the other 2 for yourself depending on what works best for you. I personally think people spend too much time playing with the settings and not enough time just getting better at quickly acquiring the subject and learning to track it efficiently. Practice trumps all. 5) If you don't want to shoot in Manual Mode, use Aperture Priority (AV) and always leave the lens wide open (smallest numerical f/ stop). For 95% of you, that will be f/5.6 using the Canon 100-400 IS 1 or 2 lens. Shutter Priority mode (TV) does not allow you to take full advantage of your lens as it sets the aperture based on what shutter speed you want. If you say you want 1/2000, it might select f/8. That's a waste if your lens can shoot at f/5.6 (which would cut you shutter by half, to 1/4000). 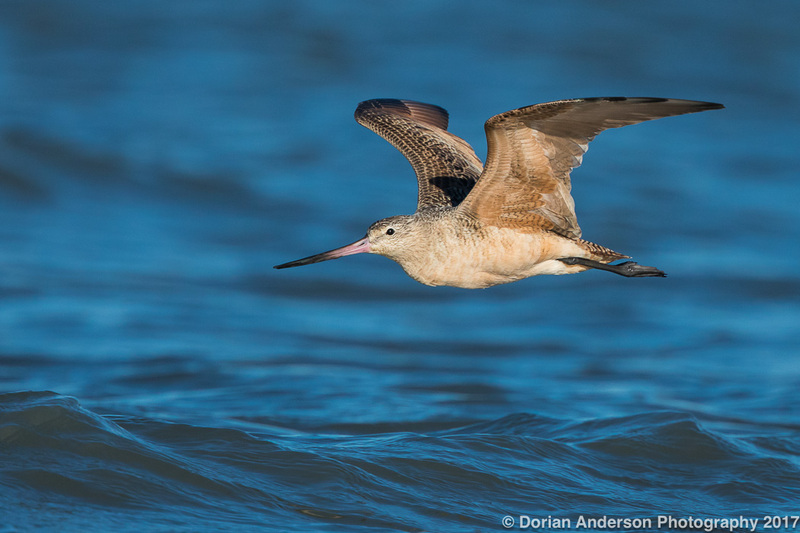 Think instead about getting the fastest possible shutter speed by using the widest aperture. 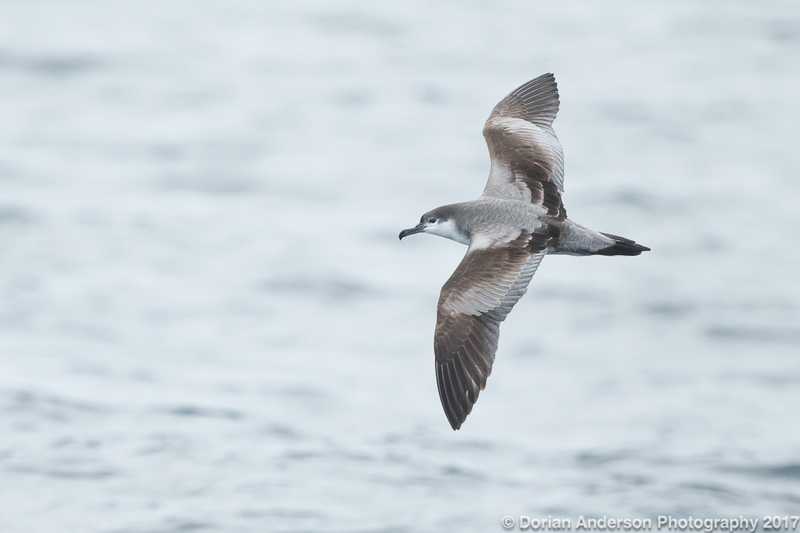 Pelagic birds will never be close enough that depth of field is a problem. 6) If it's sunny, you can try using a 1.4x teleconverter (TC) though your results will vary depending on which camera body you use; It will work best on 1Danything, 7D2 and 5D3/4. Adding a 1.4x TC to an f/5.6 lens doubles the number of pixels on the subject (which is good), but it also makes the lens f/8 and halves the amount of light hitting the sensor (which is not). If it's sunny, you've got plenty of light anyway, so go ahead and try the TC - assuming you have a good camera. But skip the TC on cloudy days unless your naked lens is f/2.8 or f/4. You simply won't be getting enough light to the sensor to make a sharp image. You'll just have a bigger, blurrier flying turd. 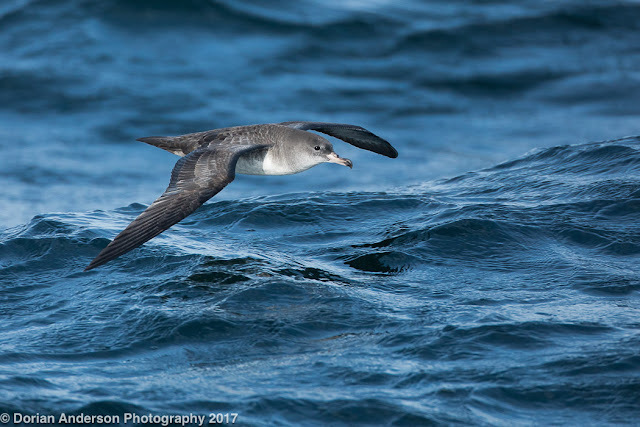 Since pelagic birds fly so fast, it is critically important that you have a fast shutter speed so as to stop the action as perfectly (i.e. as sharply) as possible. If you look at all the photos in this post, all of them (save 1) were taken with a shutter speed of 1/2500 or faster. I wouldn't personally try to take a photo of a fast flying bird with anything slower than 1/1600. You may get lucky once in a while at 1/1600, but you should really be shooting much faster. My sharp frame with 1/1600 was the exception, not the rule. On sunny days, getting a fast shutter speed is not a problem. That is because there is plenty of ambient light, even moreso than on an equivalently sunny day on land as much more of the light is reflected by the water than it is by the land. So, the general strategy on sunny days is to open the lens all the way up and then dial in a shutter around 1/3200. 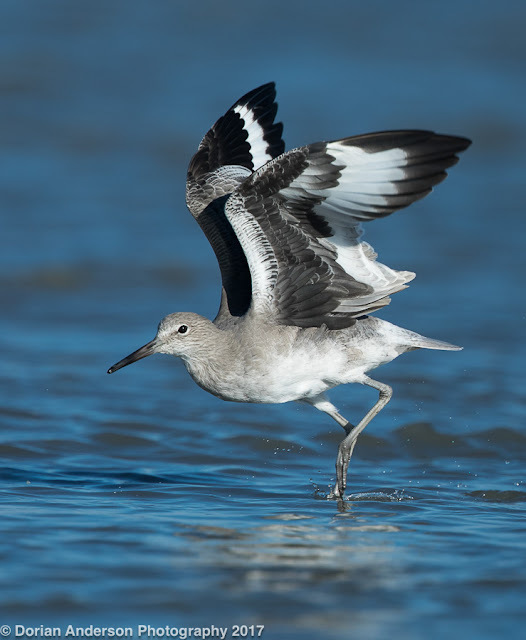 Something around 1/3200, f/5.6, ISO 400 will work well as a starting point in mid-morning light, but individual exposures for each bird will vary greatly depending on whether it's white, gray, brown or black. Problems really start to rear their head when there isn't as much ambient light. The best example of this is cloudy days, so let's start there. Very generally, there can be anywhere from 1-3 f/ stops LESS light available on cloudy days than on perfectly clear days. What does that mean? 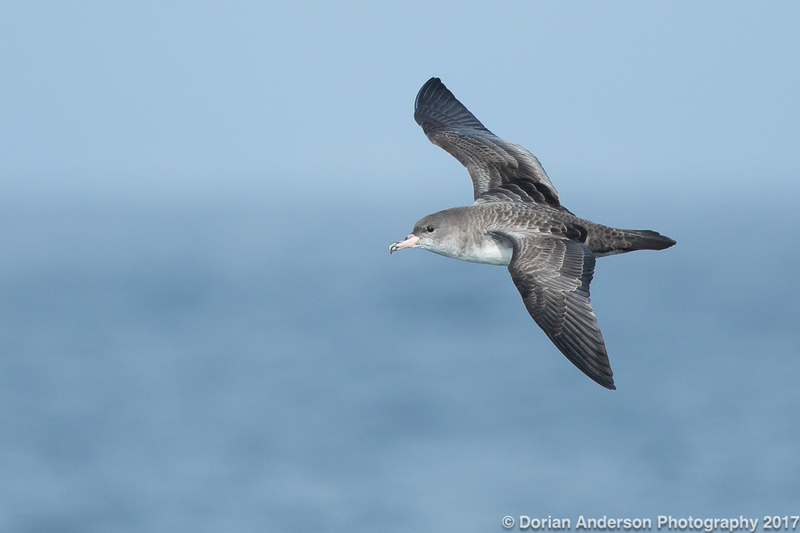 Look at these two photos of Pink-footed Shearwaters. That the were shot with different cameras and lenses doesn't matter, it's the settings that we're going to discuss. These images are very similar except the first one was taken when it was sunny and the second when it was cloudy. Notably, the individual birds look almost identical. The first, sunny image was shot at 1/4000 at f/5.6, ISO 400. The second, cloudy image was shot at 1/1600 at f/5.6, ISO 1600. I don't like to shoot the 7D2 higher than ISO 1600, so 1/1600 was the fastest shutter I could achieve given the f/5.6 limitation of the 100-400 f/5.6 lens on that day. You can see that 1/1600 is 1.333 stops more light that the 1/4000 I used in the sunny image. I also needed 2 stops more ISO (1600 vs. 400) in the bottom image versus the top. So, there was about a 3-stop difference (3.33) in the amount of ambient light available in each instance, and I had to get the exposure correct on each day so as to accurately depict the bird in each condition. A similar comparison can be seen between the Northern Fulmar and Buller's Shearwater shown below. They are similar shades of gray and thus the exposures between the two species can be roughly compared. Look at the settings in the sunny versus cloudy conditions. Sunny skies generally let the shooter use ISO 400 or 800. 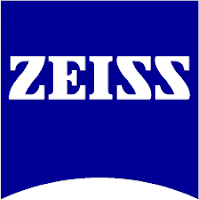 Cloudy skies are going to necessitate ISO 1600 or higher, sometimes even with an f/4 lens. Remember, you can fix noise with editing software, but you can't do anything with an image that is blurry! I know all of this sounds very complicated, but these are the sorts of things you are going to need to think about as conditions change. Sure, you can just leave your camera in AV mode and let it select the correct exposure, but you won't learn anything in so doing. The camera is really smart, but not as smart as you - once you learn everything you need to know. If you shoot in AV all the time, you will eventually be limited by the camera. It's better to learn the exposure theory for yourself! OK, something quick about exposure. Even under identical conditions, the correct exposure is going to vary bird to bird depending on its color; More light is needed to correctly expose dark birds than light birds, often several stops. What that means is that you kind of need to decide whether you're going to shoot light birds or dark birds unless you can very quickly change the settings as different species come into range. 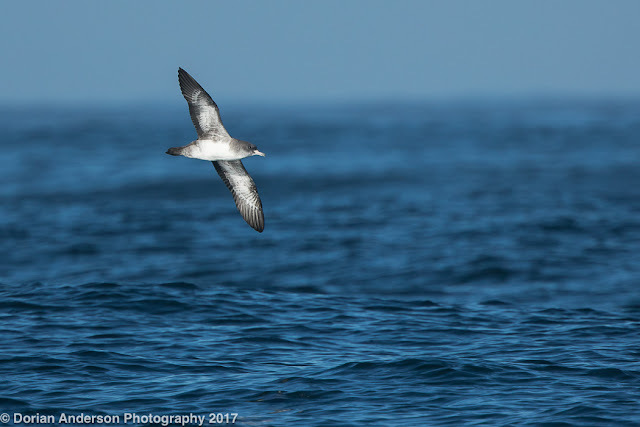 If you're set to shoot the dark back of a Sooty Shearwater and a Buller's Shearwater flashes you its brilliant white underside, you are going to saturate the whites in that shot as your shutter will be too comparatively slow/long. When you saturate the whites (or greatly underexpose the darks) you get nondescript blobs rather than nicely detailed images. You ideally want to be able to see individual feathers. The below shot is correctly exposed as you can see detail in both the light and dark feathers. To aid on the overexposure end of things, you should activate the Highlight Alert feature on your DSLR. That will display overexposed areas of you image as blinking bits on your image review screen on the back of the camera. The idea is to take a few test shots so that you find an exposure that gives you a small amount of blinking bits but not more. At that point you need only worry about the lower, underexposed end of the image. Here is a short video that should help explain this. Lastly, shooting in Manual Mode will help you learn all of this faster. Even in AV mode the camera is making its best guess at to the correct shutter speed, and very often it picks the wrong one. As far as pelagic photography is concerned, this most rears its head as a bird flies alternately against the sky and water; Though the exposure for a given subject is the same regardless of the background against which it is shot, the camera will generally tend to underexpose the subject against the lighter sky and overexpose it against the darker water. If you empirically determine the correct exposure for the subject that you want to shoot and dial it in manually, then the camera won't get fooled by the background. Yes, Spot Metering can help combat that problem, but it doesn't work well when keeping the AF point on the bird is difficult, like on a pitching boat. Oh wait, one last thing! 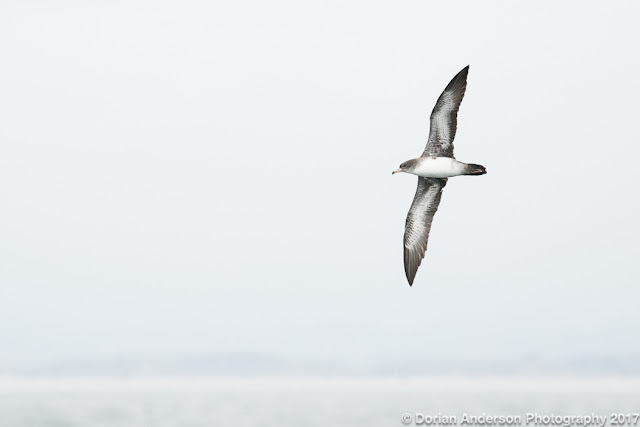 I find shearwaters and albatrosses the most obliging pelagic subjects. The are fairly willing to come somewhat close to the boat and they rarely directly overfly it (thankfully). 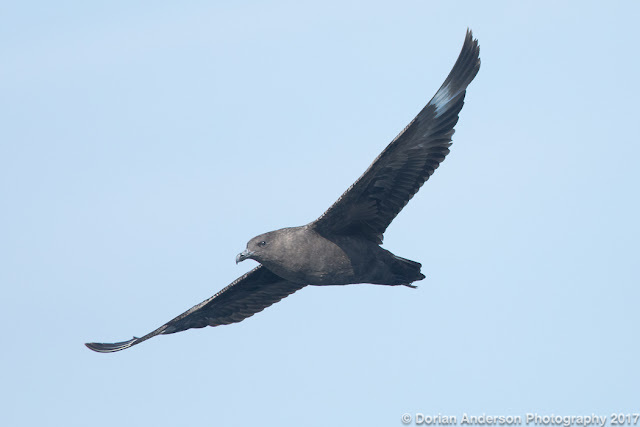 Skuas are jaegers are the exact opposite. They are normally too far off, and when they do approach they usually fly too high overhead to make for interesting photos. I did get one decent chance on this skua though. This was an example of where I had to very quickly dial in some extra light to get detail on the very strongly shaded underside of the already dark wing. Note the light is 'terrible' as it is coming straight down. Shots against perfectly clear skies aren't nearly as interesting as those against water or those that included the horizon in the background, right? OK, enough. That's a lot to digest. Please feel free to email me or leave a comment on the blog if things need clarification. 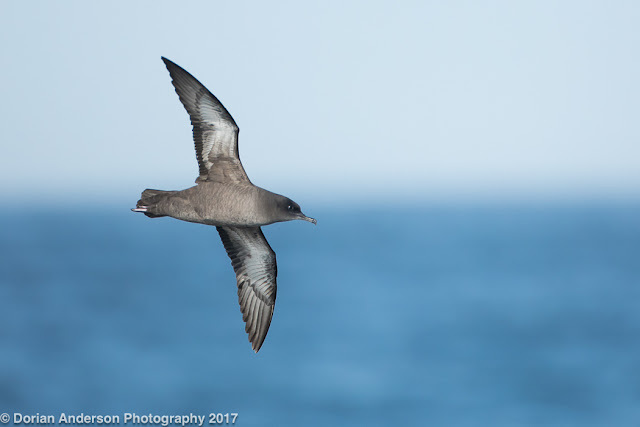 I'll also be leading pelagic trips for both Alvaro's Adventures and Monterey Seabirds as this year rolls into next, so please come join me on those for birding and photography. I'd be happy to help you with whatever pelagic or more general photography questions you have. 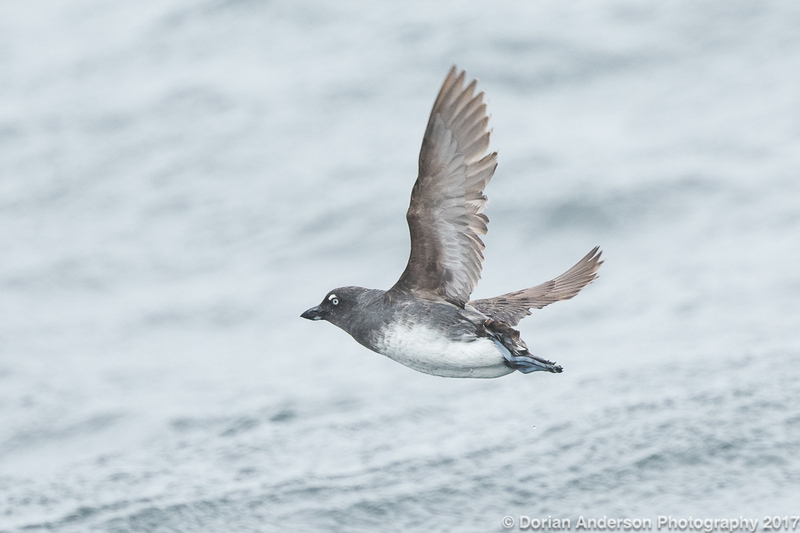 Oh yeah, ABA seen #722, Guadalupe Murrelet! I wanted one lifer this fall and this is the one that I got. Record shot only. Super heavy crop and terrible light. 1 of 4 that we saw this past weekend. 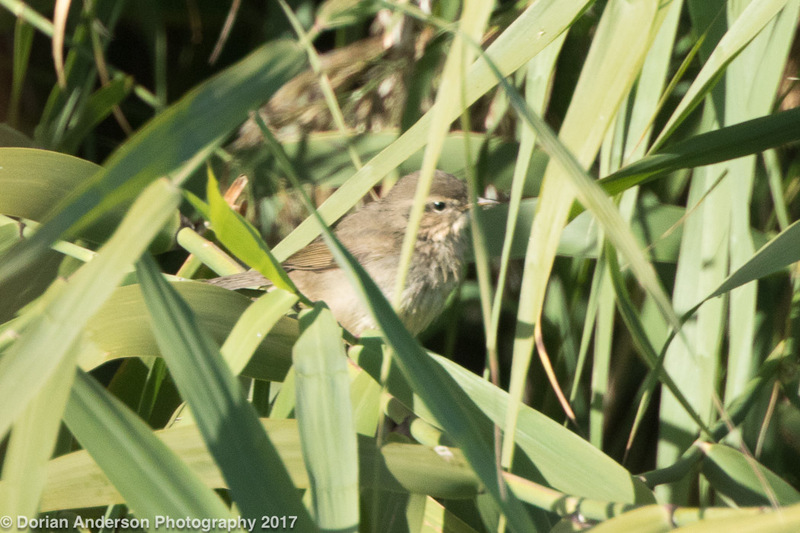 Post #119 - Fall Bay Area bike-birding, including DUSKY WARBLER! And Bike-Bird Photography too! I moved from Los Angeles to San Mateo in May of this year. At that time, I had a partially torn calf muscle and did not do any biking for the first month that I was here. Once June rolled around my leg was well enough to do some local bike-birding, mostly along the flat shores of the San Francisco Bay right out the back of my apartment. My leg has since fully healed, and I have been getting correspondingly more adventurous as the summer has transitioned into fall and the birding has picked-up. Right now, I shoot for one 40- to 50-mile ride each week and whatever shorter jaunts along the bayshore time permits. I've got my last three pelagic trips of the fall this weekend, so once those shut down I'll have a bit more time to dedicate to terrestrial bike-birding. I had a particularly good ride last week, one that took me first over the mountains to Moss Beach. 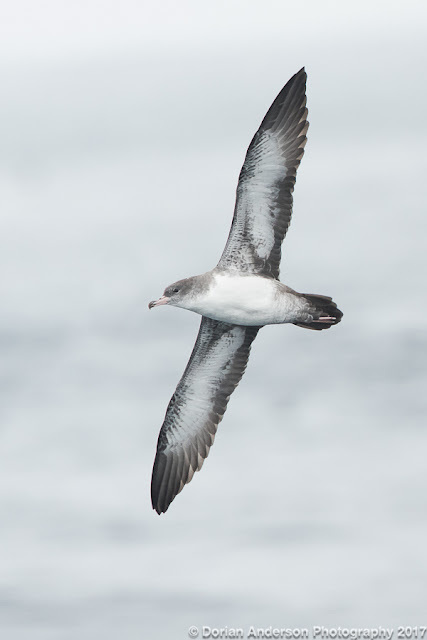 From that vantage I was able to add pelagic species such as Sooty, Pink-footed, and Buller's Shearwaters, 3 birds not traditionally associated with bike-birding. I also had Golden-crowned Kinglet, Fox Sparrow, Lincoln's Sparrow, and White-throated Sparrow, all of which were county bike-birds for me. Later, I rode back through Half Moon Bay where I added Laughing Gull, a nice bird this far north, and another pelagic bird, Parasitic Jaeger. From there is was a bit further south to grab Common Gallinule before again climbing the mountains to return home. 54 miles, 2500 feet of climbing. 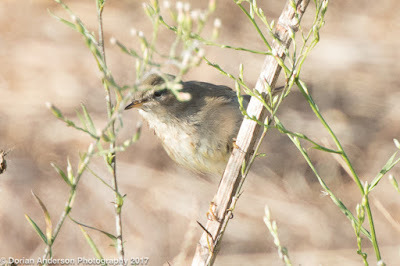 This past weekend was particularly exciting as a Dusky Warbler was found just a mile up the bayshore from my apartment. 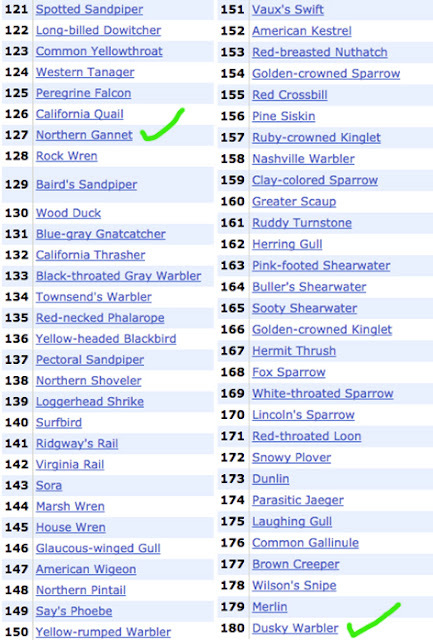 I jumped on my bike as soon as I received word of the bird and easily bagged it for my San Mateo County Bike List. Dusky Warbler was actually a bike lifer as it was not one of the 618 that I found during my bicycle Big Year in 2014. So that was really cool. It was my first bike-lifer since that effort. if this sounds familiar, that's because Roger Schoedl and I found a Dusky Warbler in Huntington Beach last year. Amazingly, we found that bird on October 8, 2016 and this bird appeared on October 8, 2017! So, with the addition of that Old World warbler and Merlin on that same morning, I've now pushed my San Mateo County bike list to 180 species (most recent additions at end of post). All of those were collected on out-and-back efforts starting and ending at my home, so zero use of fuel at any point. Minus occasional car-chases for would-be ABA lifers and driving to pelagic trips, I've basically abandoned the car for purely birding purposes. I still use it for photography as that pastime often requires me to lug a lot of gear to wherever I'm going, often before the sun rises. I have, however, found a couple of photographically productive spots on the bayshore to which I can easily ride my bike. So, in that respect I guess I'm trying to make bike bird photography 'a thing' now as well. I'm pretty happy with the results so far, but you can judge for yourself. Those of you paying attention to the shooting info might notice that I've recently added the 5D Mark IV to my arsenal. I'll write more about it at some point, but I'll say now that I'm totally in love with it. USING MY BIKE - NO CAR! OK, that's it for now. There's a lot of stuff in this post, and I hope at least some of it inspires at least a few of you to ditch the car for a day and try out the bike instead. It's way more fun and rewarding than driving everywhere!